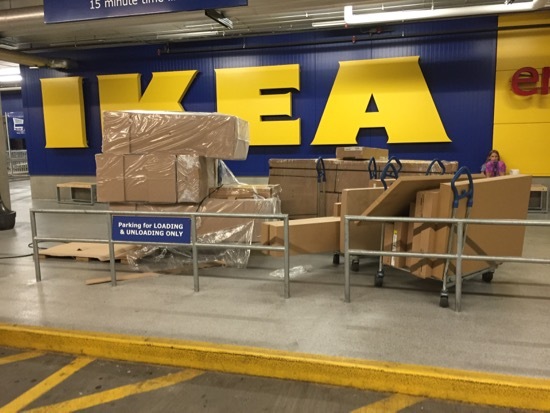 Buying one of everything at IKEA, oh, and we moved in! Hi! Man, we have been so busy trying to get moved into the new house. When we left Austin we sold most of our furniture, so moving into the new house was easy because we only had one Pod to unload. However, we hit up IKEA for most of our furniture and between buying, moving, unloading, and assembling, our time is zapped! Here’s Ben getting ready to unload the Pod last week. We hired a few guys to come help unload so the thing was unloaded in less than 2 hours. Ah, a nice empty Pod. Come take it away pod people! Like I said, we hit up IKEA for most of our new furniture. 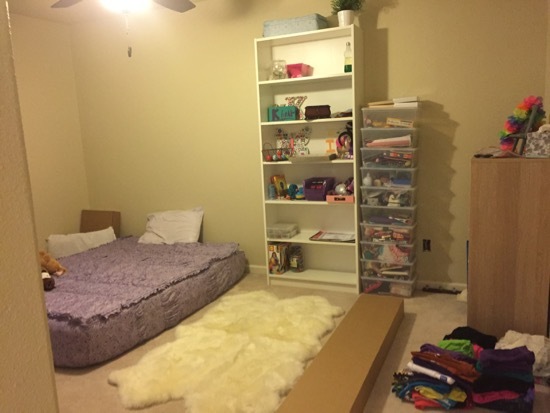 IKEA is inexpensive and has decent quality so it will definitely hold us over for the next several years while I design each room and figure out exactly how I want them decorated. This picture is only one of TWO trips we made to IKEA for furniture. We had to rent a small Uhaul to get it all home. And now our house is a mess! Ah the joys of moving. Trying to unpack and find a new home for all your stuff. After living in a place for awhile everything finds a home, but after you move the new house never flows the same way so it’s all trial and error. 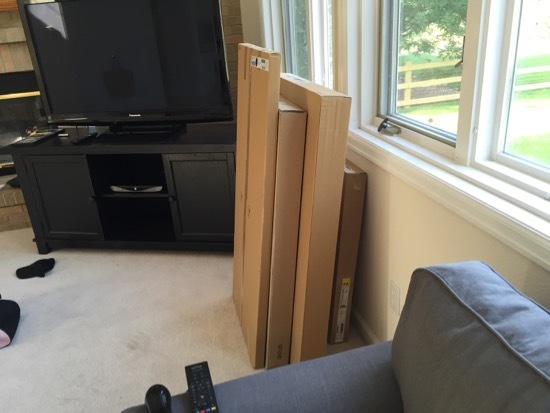 You can see a small portion of the boxes we brought home from IKEA. Also, we purchased a couch from there. Our TV and entertainment center doesn’t really work in this new living room so expect a Mounting Your TV Above The Fireplace post soon. 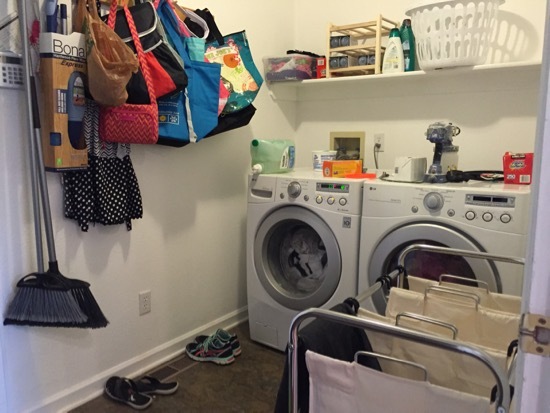 At least my laundry room is set up and functional. Not pretty at all, but I can do laundry. 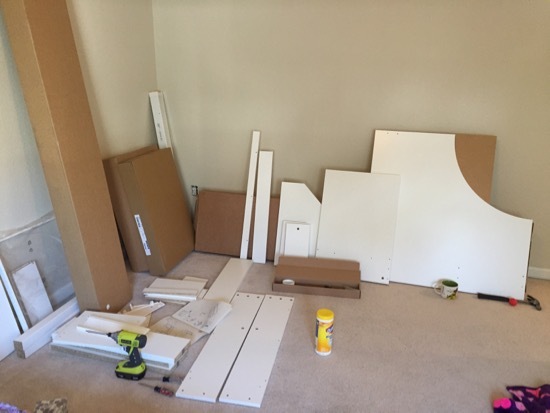 Travis’s room… We haven’t assembled any of his furniture yet because I want to paint first. 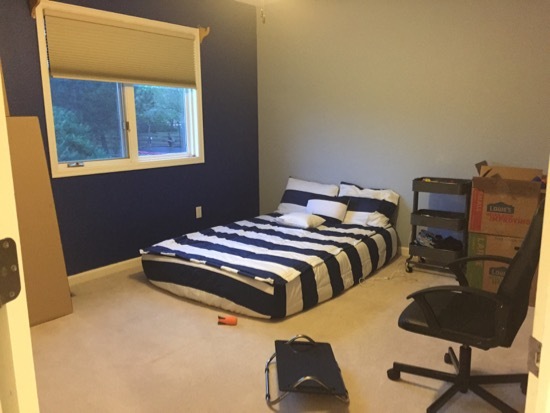 The blue wall actually looks good with his new bedding, but the room is getting painted a light tan (my favorite – Stucco) because I have other plans for a cool wall treatment. Kinsey’s new room. I painted her room Stucco the day we moved in. I had BIG plans of painting THE ENTIRE HOUSE in one day. So far… I’ve painted two rooms. Haha I need to assemble a few more pieces of furniture for her room, but at least she was able to unpack all her boxes. 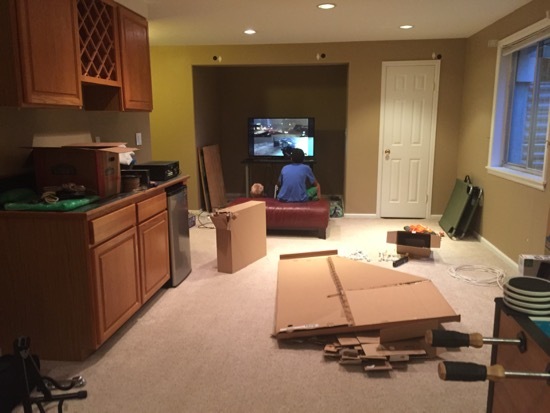 The basement – Ben set the TV up so Travis and his friends could play on their video games. Other than that, we’ve done NOTHING. We are getting new carpet down there before we start unpacking. I’m also taking out that bar because the room is too narrow and it takes up too much room. I might move it to the hole where the TV currently is (we are going to put the TV on the reverse wall behind me). Okay, one of my new favorite parts of this house is the unfinished portion of the basement. 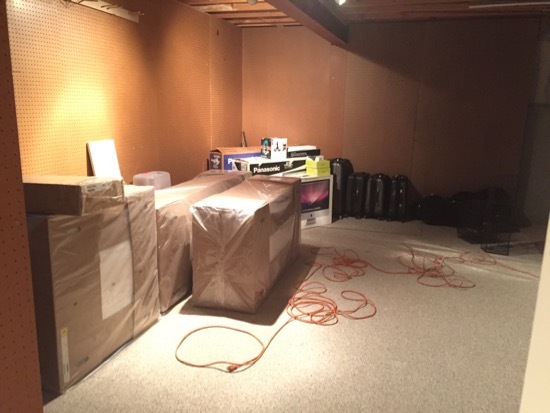 We were planning on getting it finished out ASAP but honestly, it is the best storage room! 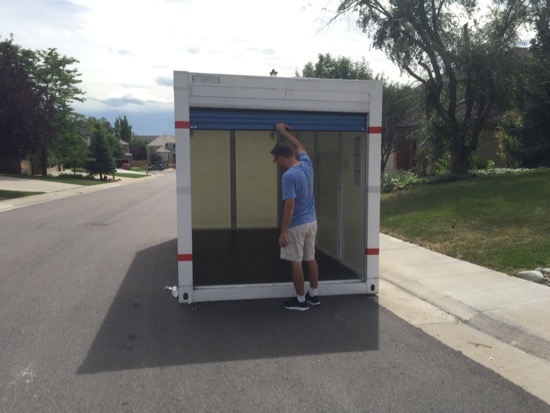 We might be able to park our cars in the garage now because all our crap can go in the storage room. Love it. 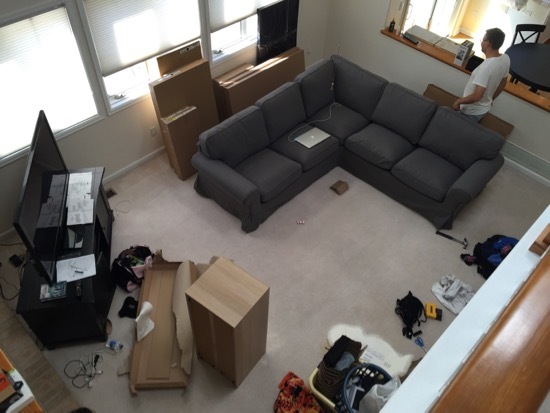 Those big boxes are our new IKEA couch for the basement. In addition to all this unpacking and just trying to move in, we’ve actually been doing some normal stuff too. 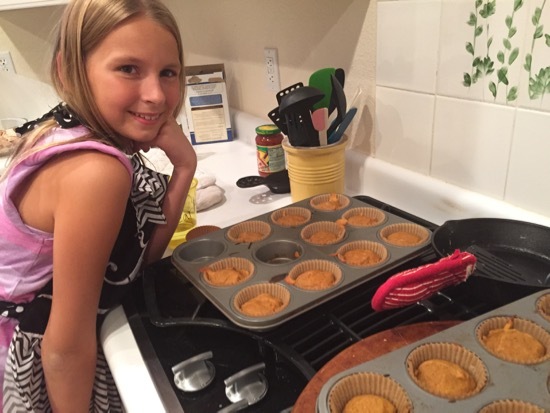 Kinsey busted out the mixer tonight and made gluten-free Pumpkin Muffins for everyone! She is such a great baker. 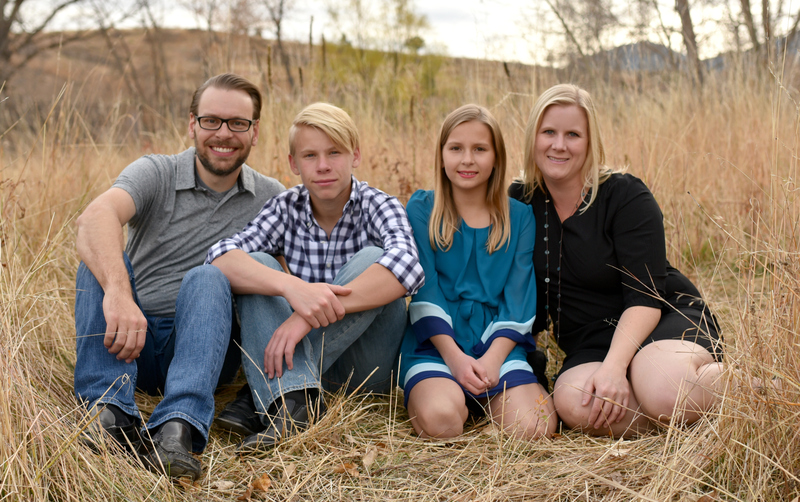 Kinsey is our little mama and helps keep our home and family running smoothly. We love her and her baked goods! I have SO MANY ideas for this new house and I am so excited to get busy making this place our own. Gotta run for now and go paint Travis’s room! See you soon! « Our new Colorado house picture tour! Loving the new house/ new city adventures! Can’t wait to hear more! House looks like its got some grest spaces. And I love your beddy’s! Aren’t they the best? We just bought the beddy’s and so far we love them. I’ll do a post about them once we get actual beds as well. The only issue I had with the beddy’s is their website is terribly designed and I actually had to call on the phone to place the order. love seeing the progress! 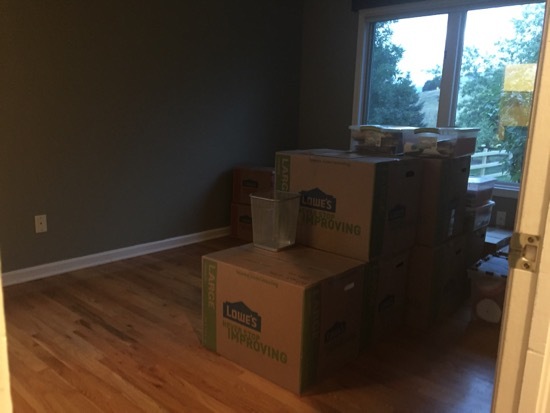 Your home looks as unpacked as our new home! Can’t wait to see what you do with this house! Congrats again! 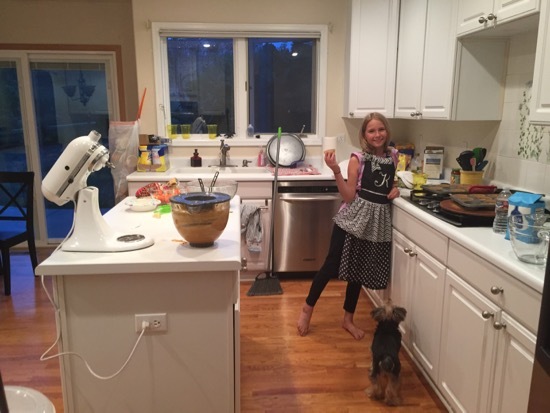 I have loved seeing your kitchen renovation as well!! I love seeing your new house. Can’t wait to see how it progresses as you make it your own. Your tutorials are always so helpful and I’m anxious to see how you mount the TV over the fireplace! I’m anxious to see how I mount the TV over the fireplace too! LOL! It is on brick and I want to hide all the cables, so I’ve been thinking about how I can do this. Was this move easier on your mind and emotions than the last? After you long post (that is totally me right now) I’m impressed that you moved again so soon! 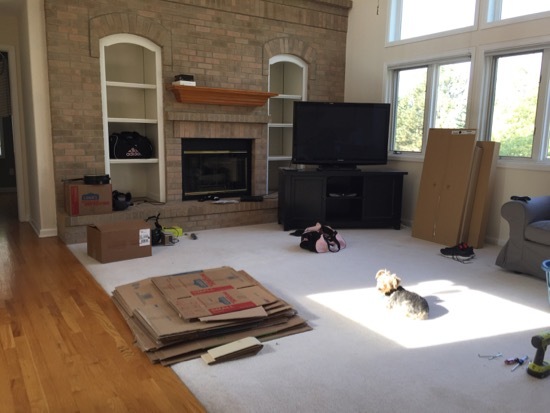 The house we’re in now is not our “forever” home either so I’m guessing that is why I’m having a time trying to get settled and back to normal…….not to mention my garage is full of STUFF!